“Tower, this is ghost rider, requesting a fly-by.” Remember that line from Top Gun, just before Maverick buzzes the tower at a high speed? Well, today at Biddeford Pool, while standing at the waters edge behind Hattie’s out of nowhere I heard this really loud, WHOOOOSH! 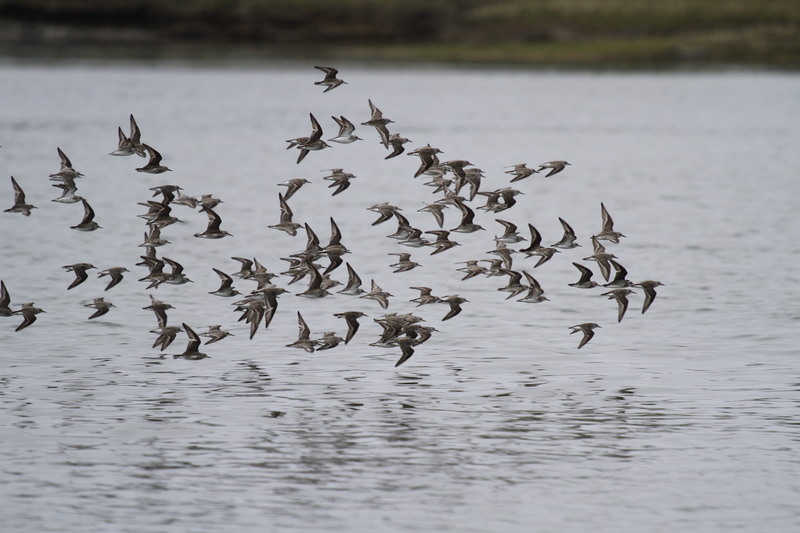 It came from behind me and went straight in front of me and I captured some images of about 70 Semi-palmated Sandpipers as they flew by in a large flock. These images are unedited, unsharpened and uncropped. 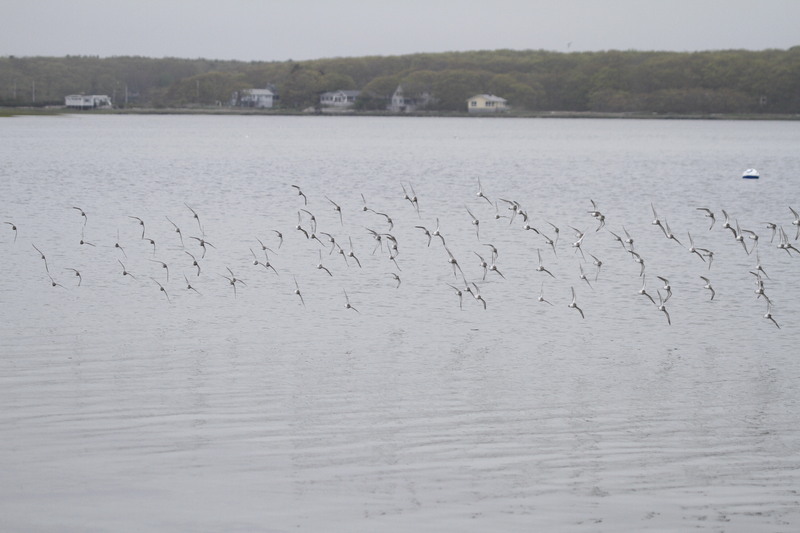 They show the “swarm” as they passed in front of me (ISO 640, 1/1000, f/5.6, 400mm.) and when they came around for another pass. It was amazing! 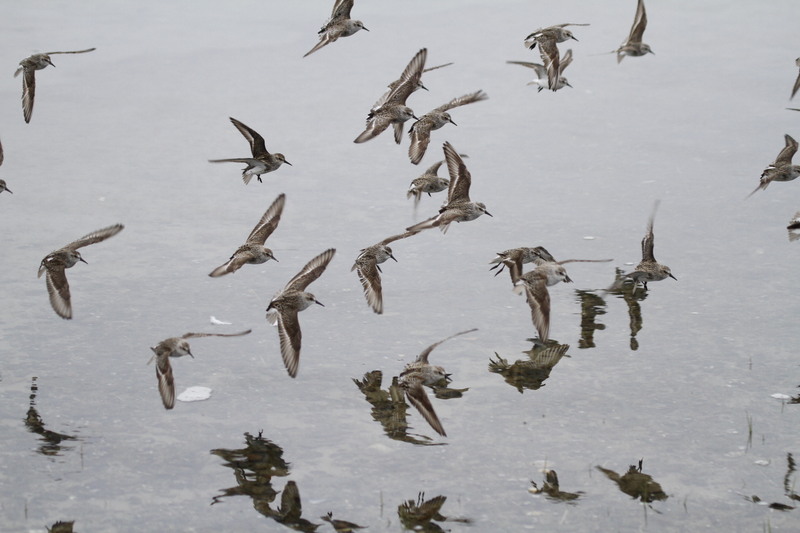 They came so close to me and I could hear the sound of their collective wing-beats pushing through the air. (ISO 640,1/1000, f/5, 100mm) Then, something even more amazing happened…as if flying by me wasn’t enough they decided to alight right in front of me. Upon closer inspection, it looks like there may be a few other “peeps” mixed in with this flock, but that is for another post. Here is a stitched image of 20 shots taken at 100mm. 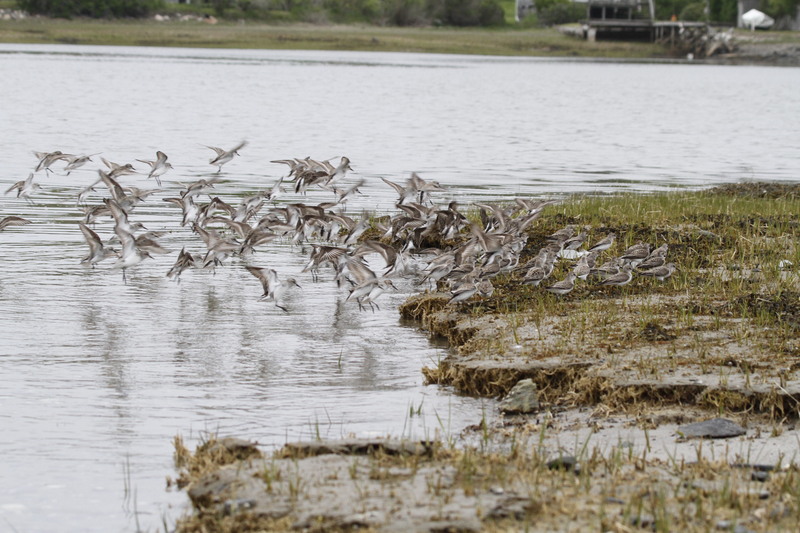 Also flying around the pool was a flock of nearly 40 Ruddy Turnstones with 9 Black-Bellied Plovers mixed in. That must have been an amazing experience. Love the pics!